Emergency Roadside Assistance provides immediate towing and any breakdown services when your vehicle experiences a breakdown or accident. 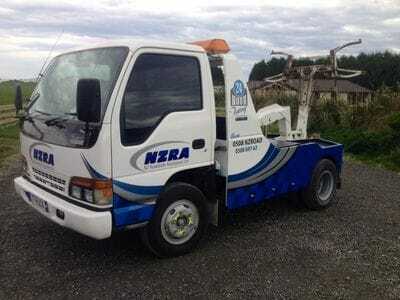 Our trained NZRA staff shall provide a quote at rates not accessible by the general public, to assist with your emergency breakdown. We will take the relevant details down and provide a quote and bill your Visa, MasterCard or Eftpos debit card over the phone once agreed with you our customer. NZRA will send out one of our Emergency service vehicles to assist you on the spot in no time at all! Roadside Assistance cover is the cheapest form of Insurance and the cost of one call out more than pays for the premium! If you require a membership to cover future breakdown events, buy a policy online or call us now and speak to one of our team members and they can sign you up over the phone with the appropriate breakdown cover.